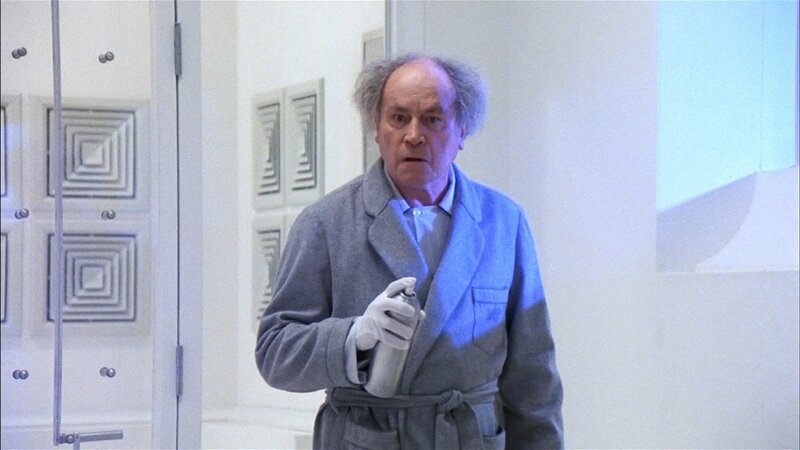 DID YA KNOW: It was rumored that Max Von Sydow was slated to play the rich isolationist in "They're Creeping Up on You!" Stephen King references Castle Rock (his fictional town) in the segment "The Lonesome Death of Jordy Verrill"
The house keeper in the first story is named Mrs. Danvers. This is a reference to Mrs. Danvers in Rebecca the Alfred Hitchcock film. 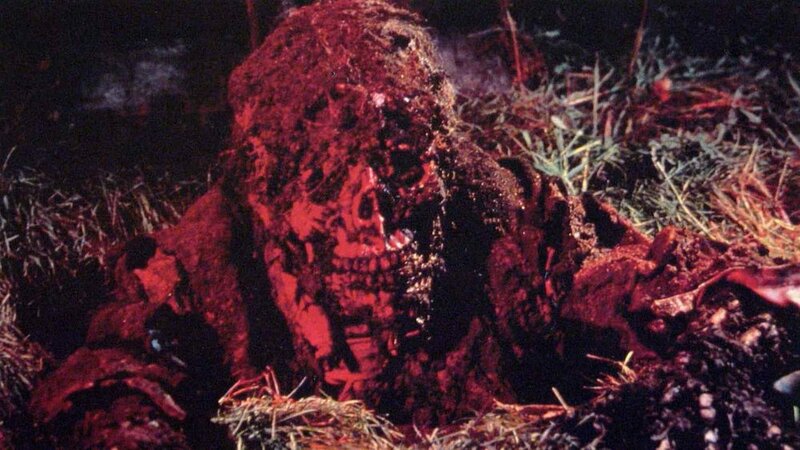 Creepshow is the quintessential eighties flick. It it's every high point on my scary movie scale. It is and always will be one of the greatest horror movies ever made. First introduced to me when I was six. I stayed up late one night and snuck out of my room to watch the movie that my dad had rented. Needless to say, I had insane nightmares that night. Steven King and George Romero team up to bring you some really terrorizing tales of the macabre. With 5 stories each with an awesome title and introduction. The prologue and epilogue also paint a neat little tale of horrific revenge. 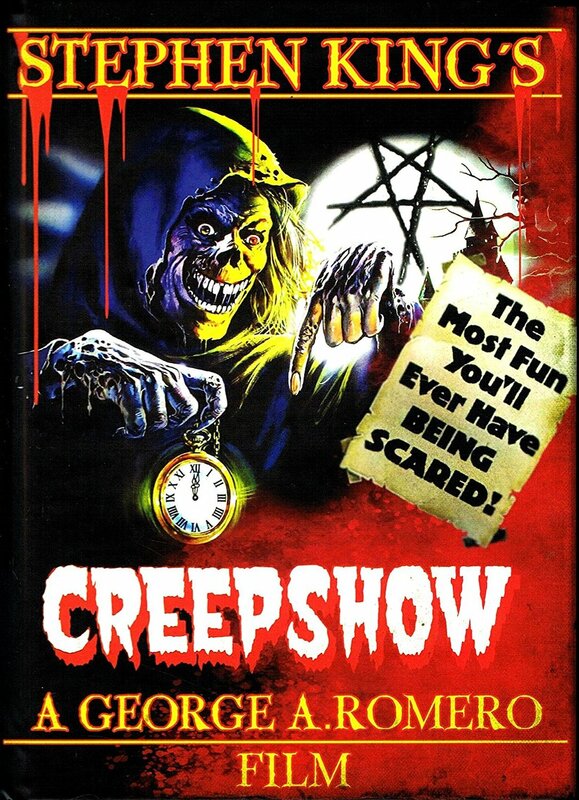 The film has an ensemble cast with Hal Holbrook, Tom Atkins, Tom Savini, Ed Harris, Stephen King, Lesley Neilsen, Ted Danson, Fritz Weaver, Adrienne Barbeau, and E. G. Marshall with most of them doing a great job. Leslie Neilsen is in one of his rare "straight man" roles and does a great job of being a villain. The story's are pretty evenly rated. They all have a good amount of scare. The weakest link would most likely be The Crate, where as it's high point is with Something to Tide You Over. Other than that they are all really good and really scary. They even have some campy humor that brings some charm to the chill factor. I highly recommend this anyone that want's to get scared! If you want to have a nightmare or you want to just enjoy something scary than this is it. Great with popcorn and a good drink on your couch.